With a crisp, earthy scent and proven cleansing properties, Melaleuca alternifolia, also known as Tea Tree essential oil, is not only one of Young Living’s most popular essential oils but is also one of the most versatile! Native to Australia, Tea Tree essential oil uses are popular for skin care, overall cleansing, and more. Whether you want healthier-looking skin and hair, or you want a clean and fragrant home,Tea Tree essential oil is a useful must-have. Mouldy and musky odours lurk in dark spaces. Using cleaners and laundry solutions infused with Tea Tree oil will help banish bad odours and leave your house smelling clean and fresh from top to bottom. 1. No need to air your dirty laundry. Instead, freshen it up by adding 2-3 drops of Tea Tree oil to your favourite liquid laundry detergent for extra odour-fighting power. 2. For extra freshness, apply a few drops of Tea Tree oil directly on wool dryer balls to add a refreshing scent to clothes, sheets, and towels. 3. Are you worried about harmful chemicals and harsh additives in your household cleaners? Try making your own by adding 6 drops of Tea Tree essential oil, 4 drops of Lemon essential oil, ½ cup vinegar, and 3 tablespoons of baking soda to a glass spray bottle, then fill to the top with water. Shake to combine ingredients. Voila! This is a great all-purpose cleaner for everything from countertops to door knobs. 4. To tackle those tough sink and shower stains, make your own scrub by mixing one cup of baking soda, ¼ cup of liquid soap, and 10 drops of Tea Tree oil. To tackle stains, grab a washcloth or scrub brush and work it! Store the mixture in a jar. 5. Prepare for a relaxing, good night’s sleep with a homemade linen refresher. Just add 10 drops of Tea Tree oil to a 3-ounce glass spray bottle filled with water. Spray directly onto sheets, towels, and other materials for a bright scent. Sweet dreams! 6. Care for your furry friends with our Tea Tree essential oil-infused Animal Scents® Ointment. 7. If downward dog is making your yoga mat smell like the bottom of a cage, it’s time to give your yoga practice a boost with a good cleansing! Mix 1 cup of water, ¼ cup of witch hazel, 10 drops of Tea Tree oil and 10 drops of Lavender oil in a spray bottle. Spray down your mat after each session to maintain the clean, calming aroma. 8. 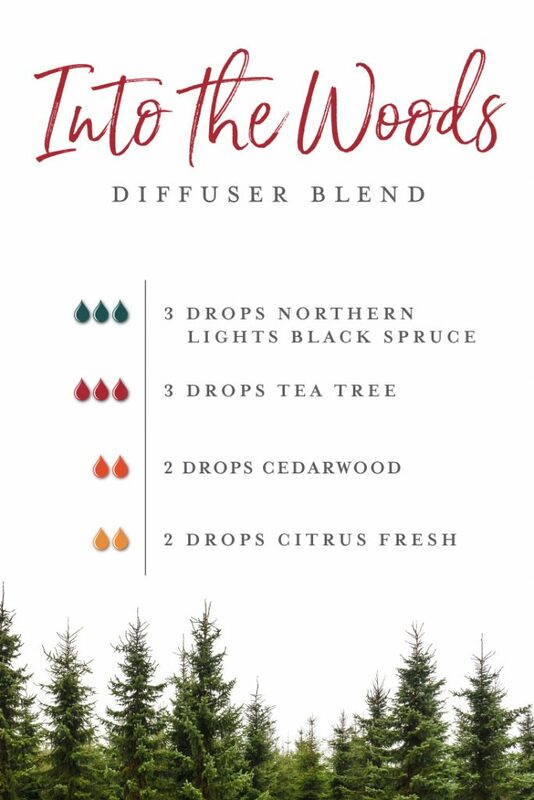 Diffusing Tea Tree oil will help freshen your favourite gathering spot and keep it smelling crisp and pleasant all day. This is one of the most commonly used oils for eliminating musky odours. The days of sacrificing softness for clean skin are over! By using Tea Tree oil-infused products, you can cleanse and moisturise at the same time! Here are some reasons why Tea Tree oil is an essential addition to your skin care routine. 9. As a natural remedy for body odour, use Tea Tree oil as a natural deodorant by applying 2 drops directly to your underarms after showering to stave off body odour. Be sure to wait about 10 minutes after getting out of the shower, especially if you just shaved, so that your pores can close before applying the oil. 10. Young Living’s Rose Ointment combines moisturising oils with the soothing qualities of Tea Tree oil, for skin that feels soft and nourished. Hello, gorgeous! 11. Tea Tree oil reduces the appearance of blemishes and helps maintain healthy-looking skin. Just apply 1-2 drops to a cotton ball and rub directly on your face or add a few drops to your favourite Young Living moisturiser or face cream. 12. Soothe dry skin with our ClaraDerm Spray, which is formulated with Tea Tree oil, as well as Lavender, Frankincense, and other oils to relieve occasional skin irritation. 13. Apply Tea Tree oil to fingernails and toenails to help maintain the appearance of healthy nails. For a relaxing at-home spa treatment, soak your feet in a tub of warm water with a few drops of Tea Tree oil. Trust us! Your aching digits will dig it. 14. Add Tea Tree oil to your homemade soap recipes to benefit from the oil’s cleansing properties. If maintaining healthy-looking hair has you scratching your head for solutions, the search is over! Here are three suggestions to support the appearance of healthy hair. 15. Add 2-3 drops of Tea Tree oil to your favourite shampoo a few times a week to help maintain a healthy-looking scalp. 16. This recipe for DIY dry shampoo infused with Tea Tree oil eliminates odours and absorbs grease so you can extend that blowout for another day. 17. Create an oil mask by mixing 4 drops of Tea Tree oil with 2 tablespoons of coconut oil. Apply the mixture to your hair, gently comb through, and let it sit for up to an hour. Then, wash and style your hair as usual. You can learn more about Tea Tree essential oil with our infographic. UK |*These statements have not been evaluated by The Medicines and Healthcare products Regulatory Agency (MHRA) of the United Kingdom. This product is not intended to diagnose, treat, cure or prevent any disease.